When two of the longest serving chief executives in Richemont’s stable of brands (namely Vacheron Constantin and Piaget) were retired earlier this year, speculation intensified that Panerai boss Angelo Bonati would soon step down. Mr Bonati reached retirement age in 2016, and has led Panerai for a remarkable 17 years, being the first and only chief executive of the brand since Richemont bought it in 2000. Now it is official, according to an internal Richemont announcement earlier this week: come April 1, 2018, Jean-Marc Pontroue will become the next chief executive of Panerai, the watchmaker best known for its military inspired Luminor and Radiomir watches. Credited with having grown sales at Panerai some 20-fold and turning it into a global luxury brand, the 66-year old Mr Bonati will stay on for a few months to help with the transition. 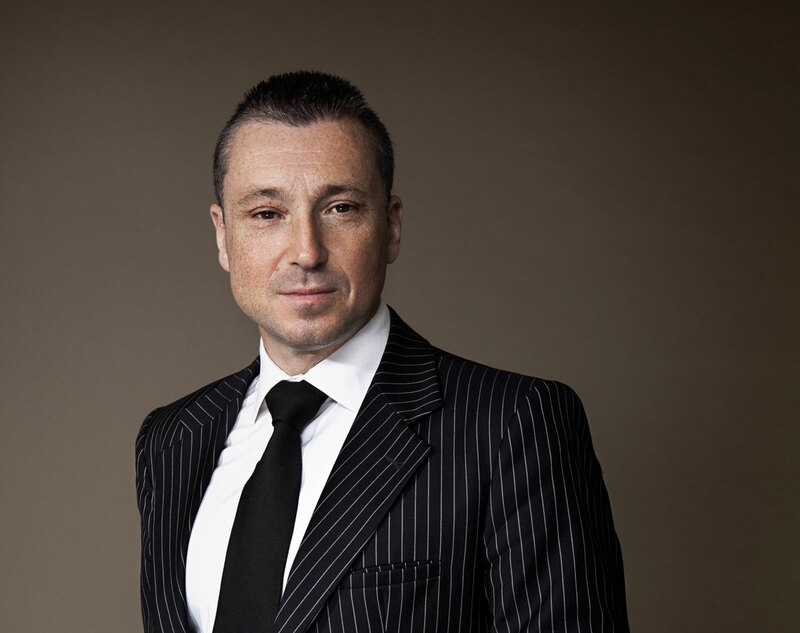 Chief executive of Roger Dubuis since 2012, Mr Pontroue’s move is a major promotion, given that Panerai is a significantly larger company, with annual sales of SFr450m, compared to just SFr80m at Roger Dubuis, according to estimates by Swiss bank Vontobel. Well regarded by insiders at Richemont, Mr Pontroue will report to Emmanuel Perrin, recently appointed head of distribution for Richemont’s watchmaking brands. However, according to insiders, Mr Perrin, a Richemont lifer whose uncle was once the president of Cartier, will eventually become chief of the watchmaking division, taking over the post vacated by Georges Kern. While still enjoying strong sales and one of the best margins amongst Richemont watch brands, Panerai has lost some of its allure amongst diehard collectors (the “Paneristi”) in recent years. Consequently Mr Pontroue’s direction for the brand will certainly be one worth keeping an eye on. Correction December 22, 2017: Mr Pontroué’s last name was misspelled in an earlier version of the article. We regret the error. 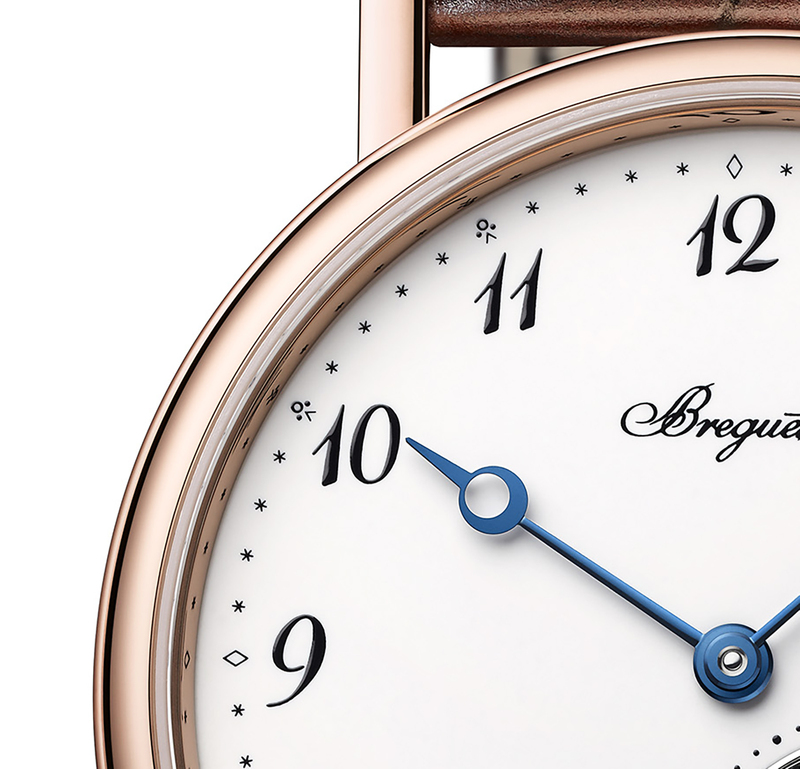 Having unveiled the Classique 7147 with a delicately beautiful enamel dial earlier in the year, Breguet has now dropped an enamel dial version of the thinnest automatic tourbillon on the market. Originally introduced in 2013 with a guilloché dial (as the ref. 5377), the Classique Tourbillon Extra-Plat Automatique 5367 checks in at just 7.45mm thick, case and all. Measuring 42mm in diameter, the Classique Tourbillon Extra-Plat 5367 is available in both platinum and rose gold, in the classic Breguet style with a narrow bezel, straight lugs and reeded caseband. The only difference lies in the dial, which is now grand feu enamel and rid of its power reserve indicator. 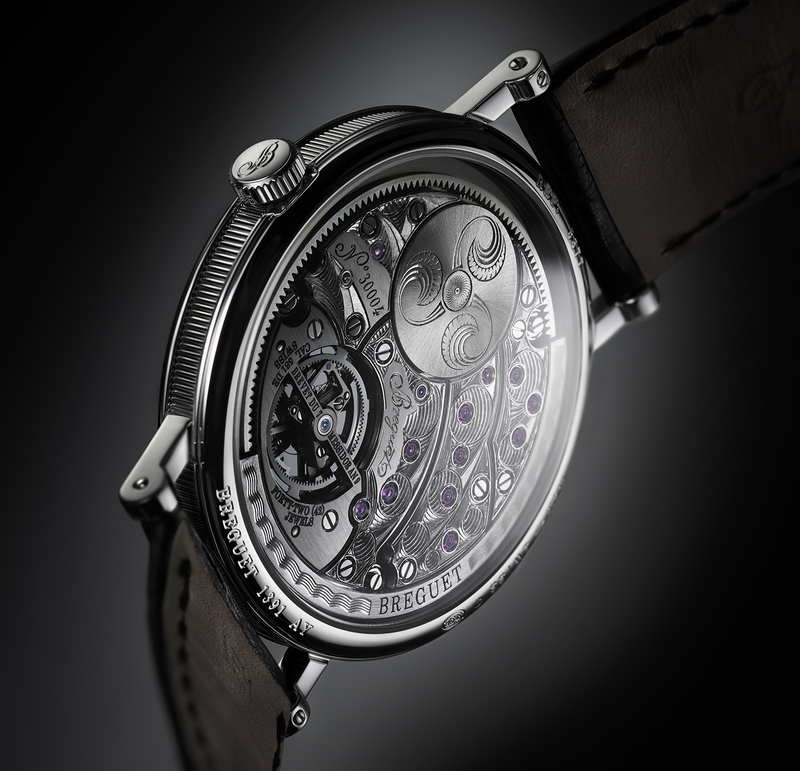 It features the same off-centre layout as on the guilloche version – a feature found on many historical excentré Breguet pocket watches – but with Breguet numerals in black lacquer. 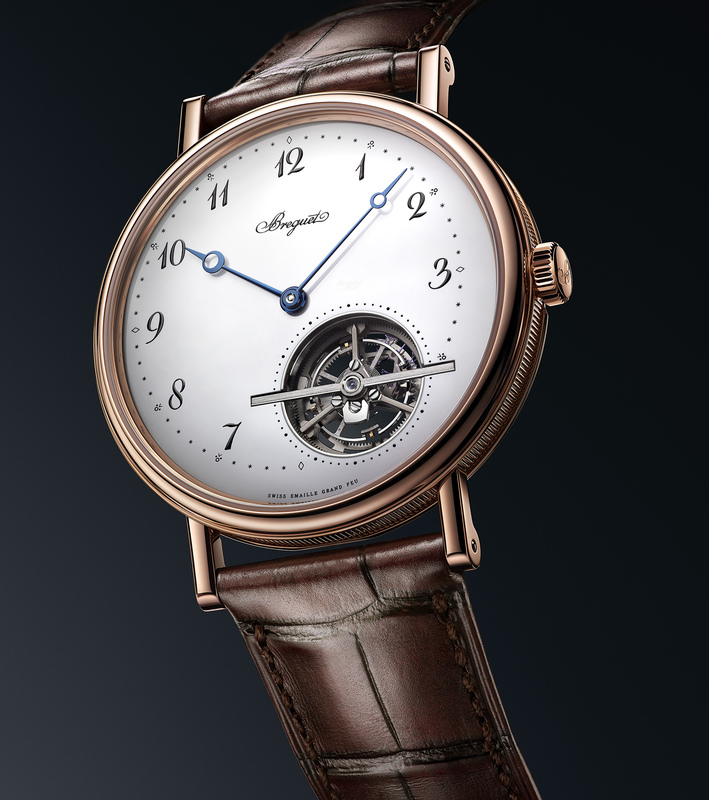 And the minute track is again inspired by 19th century Breguet pocket watches, with tiny lozenges for the quarters and a mystical symbol every five minutes. The watch is powered by the cal. 581 that has a tourbillon regulator running at 4Hz. In contrast to the understated dial, the movement is richly decorated – the bridges, barrel and oscillating weight are all hand-engraved. While the dial is classically styled, the tourbillon is contemporary in construction and materials. 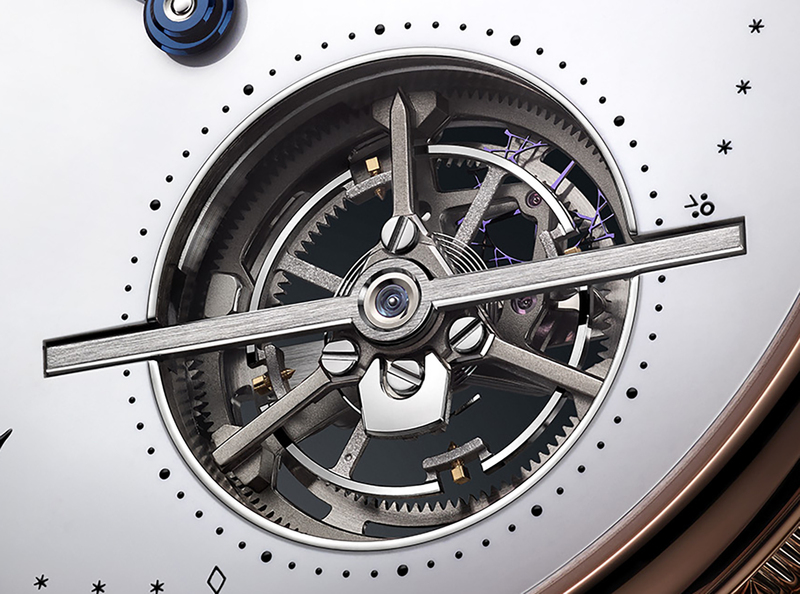 The tourbillon cage is made of titanium, with both the balance spring and lever escapement made of silicon. And the barrel mounted on roller bearings instead of a traditional pivot point – helping the movement stay remarkably thin – while still managing an impressive 80-hour power reserve. 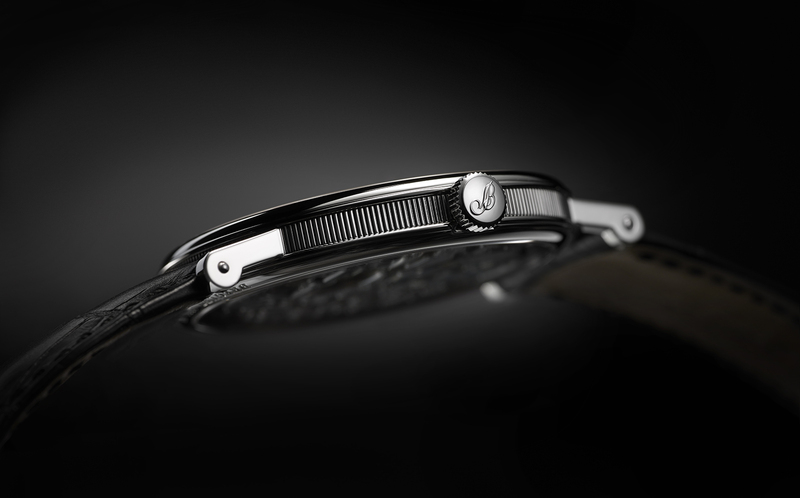 Another reason the movement measures just 3mm thick is the peripheral winding system. The narrow, semi-circular platinum rotor is mounted around the edge of the calibre, instead of adding height on top of the movement bridges. 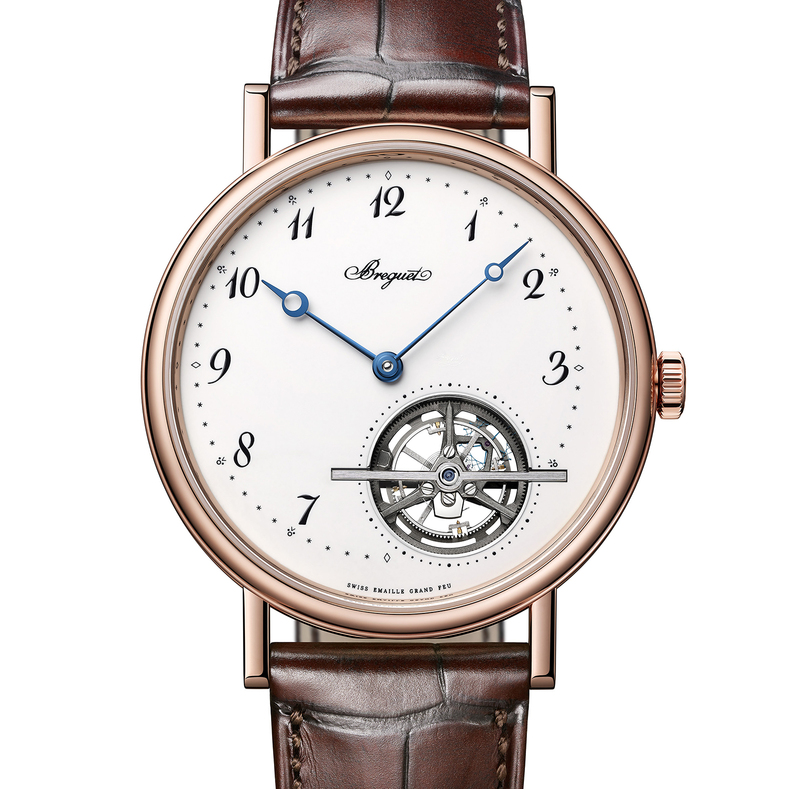 The Breguet Classique Tourbillon Extra-Plat Automatique 5367 (ref. 5367BR299WU) is expected to be priced slightly lower than the existing model with a guilloche dial, which costs US$149,500 or S$214,800 in pink gold.